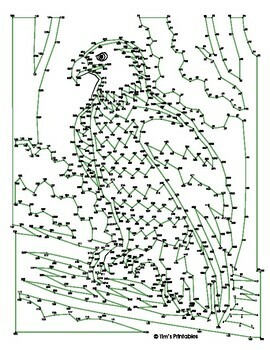 Connect the dots to reveal the picture of the bald eagle! 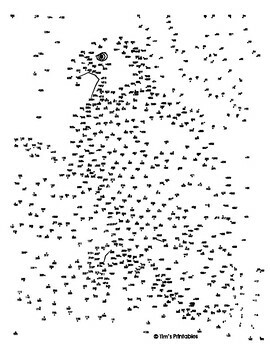 There are a whopping 664 dots to connect, keeping your kids busy for quite some time. Let your kids race to see who can complete the dot-to-dot first. This activity would fit well with a patriotic-themed classroom lesson or a lesson about nature and birds of prey. PDF format. Answer sheet on page 2.